EduStage will be running a Summer School at the Epsom Playhouse in 2019. 1 All participants will be fully involved throughout the week, singing, acting and dancing. 2 With at least one tutor for every 8 students and the support of technicians and theatre staff, our summer schools represent outstanding value for money. 3 All tutors are fully DBS enhanced checked and have had wide experience at working with young people. 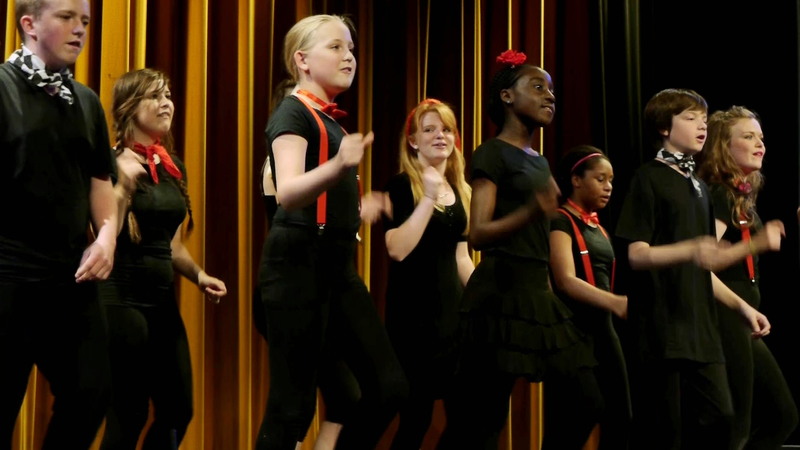 4 Our summer schools are particularly suitable for young people who have had no experience at working in musical theatre. 5 All participants will be assigned individual roles in the musical which will include featured dancing, singing and acting. 6 We aim to make the summer school fun and also to help give greater confidence in performance. 7 We listen to what the participants are asking us and are often able to incorporate their ideas into our performances. 8 We make sure that young people attending for the first time have the same opportunities as those who have attended before. 9 We encourage all new participants to use the experience to make new friends. 10 We work in a professional theatre environment where a fully staged performance will be given at the end of the week at no additional cost for family and friends to attend.